A collection of stories that are not just campfire lore - these ghosts are real! 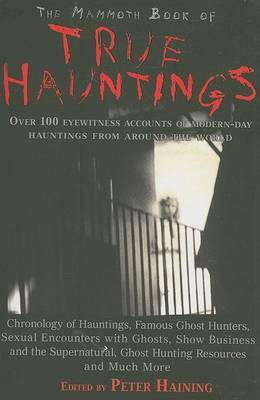 In a fully up to date version, this collection provides over 100 genuine eyewitness accounts of hauntings, from all around the world and right up to the present day. These sightings could be from any suburb or hometown, and covers the full spectrum of credible hauntings. Also included are notes and essays by Robert Graves, Edgar Cayce, and M. R. James, a full bibliography and list of useful resources to bring out the believer in you.